Send Adrian Dix an email. 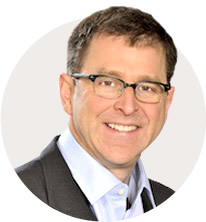 Adrian Dix was first elected as MLA for Vancouver-Kingsway in 2005 and re-elected in 2009, 2013 and 2017. He is the Minister of Health and Minister Responsible for Francophone Affairs. Adrian served as the Official Opposition spokesperson for B.C. Hydro and as leader of the Official Opposition from April 2011 until May 2014. During his time as leader he played an instrumental role in advancing public policy changes. He shifted the debate on taxation with his proposal to raise corporate taxes, a position that eventually was adopted by the current government. Adrian’s work on the issue of skills training – its role in economic growth and reducing income inequality – has helped make it a focus of government. Similarly, his proposals for a BC wide colorectal cancer screening program, insulin pump coverage for young adults, and lower generic drugs prices have become provincial policy. After being elected in 2005, Adrian quickly earned a reputation as one of the most effective Opposition critics, both in the legislature and out. He has consistently raised awareness of key issues and forced needed change in the public interest. After uncovering the harm Liberal cuts were causing to vulnerable children, Adrian was instrumental in establishing B.C.’s Representative for Children and Youth. The new post gave vulnerable kids a voice and restored accountability to government. He also helped expose a crisis in seniors’ care, resulting in an investigation by B.C.’s ombudsperson. Since being elected to represent Vancouver-Kingsway, Adrian has forged a reputation as a passionate advocate for his constituents and their issues. In 2010, he played a leading role in a coalition that saved important neighborhood schools from being closed in East Vancouver. He tirelessly attends community events in his riding and regularly goes door-to-door to stay in touch with his constituents. Adrian’s commitment to quality public education is well known. Prior to becoming an MLA, Adrian was the executive director for Canadian Parents for French, B.C.-Yukon Branch, a non-profit organization promoting language education. During his tenure he increased its profile, influence and capacity. From 1996 to 1999, he served as chief of staff to Premier Glen Clark. Between 2001 and 2005, Adrian was a sought-after political commentator and journalist, writing a column for the Victoria Times Colonist and the Source, a prominent multicultural newspaper in Vancouver. He was also a contributor to the Tyee and CBC. Adrian was raised in Vancouver and is a graduate of UBC. He is married to writer Renée Saklikar.